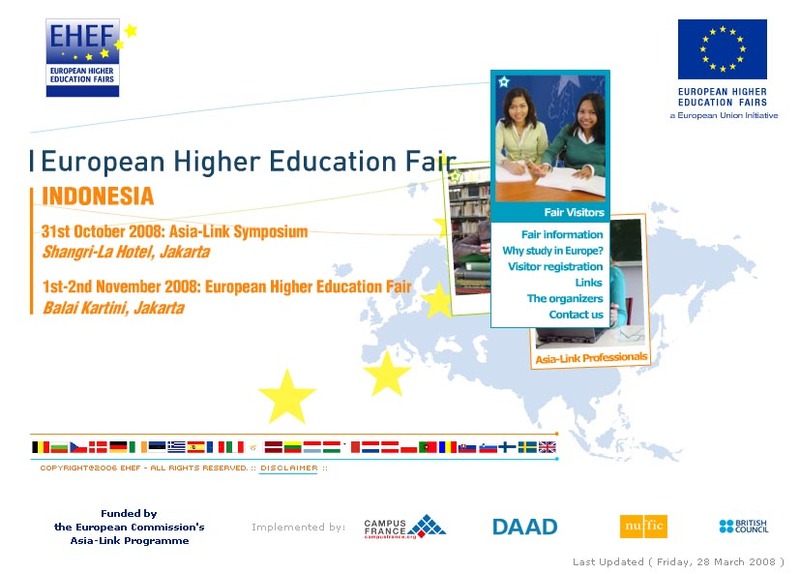 IE Business School participates this weekend in the European Higher Education Fair in Jakarta. This event is open to all students intending to pursue a university degree and master degree in the European Union. For more details, please click on the image above. Answer to: What happens at IE in summer? The University inaugurates its first academic year with two new degrees in Architecture and Communication that are fully compliant with the European Higher Education Area (EHEA). In his address during the inauguration of the first academic year of the new international university model launched by IE in April of this year, Santiago IÃ±iguez de OnzoÃ±o, Rector of IE UniversityÂ stated that â? ?The university we are building will be one of Europeâ? ?s most prestigious centers of learning, in line with the achievements of our business schoolâ?. The Rector described IE University as â? ?A private institution with a public mission: that of educating global citizens, entrepreneurs who are committed to society and have an excellent working knowledge of their fields.â? He went on to underscore the fact that IE Universityâ? ?s innovative, market-oriented programs will also equip graduates with a solid grounding in humanities and management, given that â? ?humanities are the binding agent that integrate other knowledge, and the base for shaping individuals in the fullest sense of the wordâ?. IÃ±iguez de OnzoÃ±o also spoke about how behind every good business practice there is a good management practice, which is why IE University graduatesâ?? education will be equivalent to that of an MBA graduate, in that they will be entrepreneurial in their fields, change agents in their profession, and generators of value and social well-being. After speaking about the Universityâ? ?sÂ two new degree programsÂ in Architecture and Communication launched at the beginning of the academic year, both of which are adapted to the European Higher Education Area, ÃÃ±iguez de OnzoÃ±o announced that in the next academic year, following the receipt of the pertinent approval, IE Universityâ? ?s Santa Cruz la Real campus is set to launch new degrees in Business Administration,Â Biology, Law, History of Art, Construction Engineering, Journalism and Audiovisual Communication, Psychology, Tourism Management, and Systems and Technologies. â? ?One of the key features of these new degree programs will be their markedly international slant in terms of content, student profile, Spanish and English versions, strategic alliances and exchanges with leading international universities, and relations with global business organizations and institutions. Javier Quintana, Dean of IE’s School of Architecture, explains the rationales behind the structure of new BA & MA in Architecture at IE University. More detailed information you can find here. IE Business School is set to invest around â?¬14 million in the former convent of Santa Cruz la Real in Segovia to convert the building and the adjoining land into an international business university equipped with state-of-the-art technology. The project aims to make IE University a European benchmark for quality. The venue chosen for IEâ? ?s university project is the former convent of Santa Cruz la Real, a building which was declared a national monument in 1931 and is one of the architectural gems of the city of Segovia. The restoration project for the building, which is located by the city wall and is very close to the aqueduct, was presented at a press conference in July by Miguel SagÃ¼Ã©s, IE Universityâ? 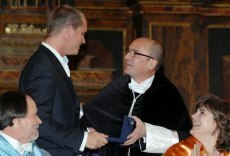 ?s managing director, and the architects Fernando Serrano-SuÃ±er and Ismael Rodriguez. 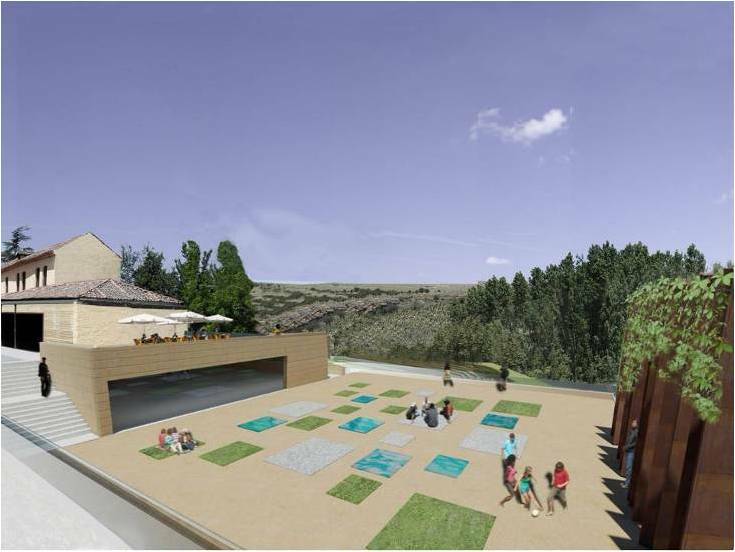 The whole restoration project involves five phases which will take in the buildingâ? ?s 18,000 mÂ² surface area, in addition to a plot of land covering 30,000 mÂ² adjacent to the former convent. Restoration work began a year ago on the communal areas of the ground floor such as the cloister, the chapterhouse, the refectory hall and the dormitories. This summer, work will focus on the universityâ? ?s lecture halls and include fitting automated lighting and sound systems in order to save energy while respecting the structure of the building. According to the architect, Fernando Serrano-SuÃ±er, work on each of these two phases will cover a surface area of around 4,000 mÂ². After these first two stages, a third phase of restoration work will begin in 2009 and include a complete renovation project which will be presented to the Segovia City Council and the Heritage Commission during the next few days so that they can assess its feasibility. This phase will include work on the interior design and furnishings and will supplement the work carried out during the first two phases. It will also involve work on the outside of the building and the facades and a glass roof for the complexâ? ?s two characteristic courtyards. During the press conference, Fernando Serrano-SuÃ±er insisted that the restoration work would â? ?respect the buildingâ? ?s heritageâ? at all times and stressed that in the case of the facades, which are at present in a very poor state of repair, the aim was to â? ?restore them to their former splendourâ?.